Two circular blades are provided standard, one is fixed, and the other adjustable. A removable board fence makes it easy to trim boards that already have one straight side. The EG100 breaks down into a compact configuration for shipment. 7.5 kW electric motor is standard. 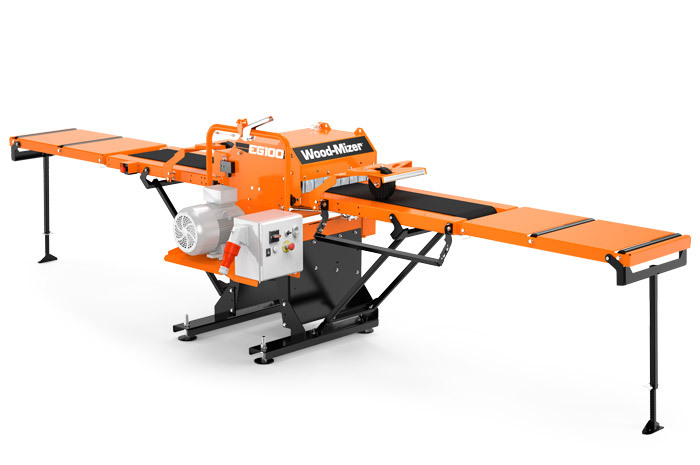 Easily and precisely adjust the distance between the blades to produce accurately-sized timber. Infeed and outfeed rollers keep the boards straight during edging.